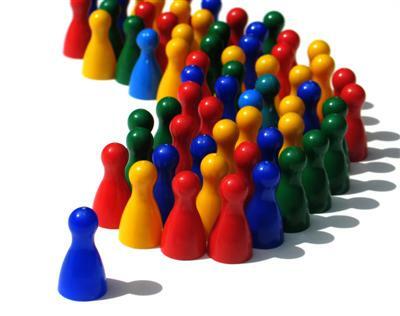 You know that tapping the right individuals for leadership positions is an essential executive task. But too often, the wrong people are selected. Why? Executives often evaluate candidates based on gossip, hearsay, and casual observation. They also fall prey to the halo effect: overvaluing certain attributes (raw ambition, operational proficiency) while undervaluing others (ability to inspire, willingness to take risks). The cost? The wrong people ascend their corporate ladder—and the company falters. To escape this scenario, compile a balanced picture of each candidate. Learn which skills to ignore, and use a radical group evaluation process to discover the real gems among your candidates. Use this group evaluation process to generate a more complete, balanced view of candidates. You’ll identify stellar leaders who have concrete competencies and softer skills. 1. Assemble a group—including the candidate’s current and former bosses and other executives who have worked with him—to discuss his history in light of a wide range of leadership criteria—e.g., ability to assemble top-notch staff, strategic thinking, integrity. 2. An internal executive or consultant directs the group’s discussion by asking carefully crafted questions (e.g., “How quickly can the candidate integrate diverse information?”). The leader focuses discussion on observed behaviors only, elicits evidence behind opinions, encourages participants to add information and question each other—and notes emerging patterns. As if peeling an onion’s layers, each question delves more deeply than the last. 3. Use responses to predict the candidate’s performance in a position of greater responsibility (“If she were to fail, what would you predict might be the most likely reasons?”). Also, determine her development priorities (e.g., “She needs to manage a geographically dispersed organization”). The ultimate goal of peeling the onion? Use candid, confidential, and comprehensive information to identify and develop top leaders.